Most of the storm veterans who survived Camille are now gone. Hotels and motels had not turned off their "No Vacancy" signs for the weekend. As on any Friday during the heat of Summer, the Gulf Coast was filled with tourists. I was one of the weekend visitors at a Biloxi Motel enjoying the swimming pool and relaxation along with my wife and children. There was little concern for weather reports; the sun was shining brightly. Later that afternoon, radios announced that a tropical storm south of Miami had converted to hurricane strength and was cutting across Cuba. Early the following morning, the Coastal area from Biloxi to St. Marks, Florida was placed on Hurricane Watch. In escalating moments, TV stations started advising evacuation of certain low lying areas. I had no worries, there was little indication to return to New Orleans. Early Sunday, August 17th, the storm was southeast of New Orleans by 200 miles. A Hurricane Warning was then announced for the entire Mississippi Coast. Evacuation was advised. It was then that I decided that it would be in my business interest to be back in New Orleans in the event that it was headed there. We packed and were on our way by noon. There didn't seem to be much excitement about hurricanes at that time. At Pass Christian, Chief of Police Jerry Peralta led his small force of patrolmen throughout the "Pass", assisting in the voluntary evacuation process. Many of the second-home dwellers were actually from New Orleans. Most of the townsfolk were hurricane resistent in that they had weathered many killer storms before. They were determined to hold their ground. Chief Peralta and several other patrolling police and fire personnel had passed by the three story Richelieu Apartments. The managers, Mr. and Mrs. Jones, remained intact with 19 other residents, offering them assurances of the sturdy building. George Watson put a call out to some 300 citizens to take shelter at the "Pass" High School Gymnasium. Many of the folk were reluctant to abandon their comfortable homes, but, in trust, followed his bidding. At 6 p.m. the siren at the Pass Christian Fire Station sounded loudly, proclaiming the hurricane's imminent approach. 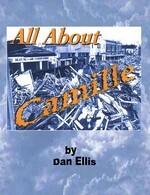 Camille struck with calamitous fury shortly after ten-thirty p.m. on August 17, 1969. The Mississippi Coast was devastated by winds clocked at more than 200 mph and tidal waves surging up to 30 feet. The unforeseen tidal wave moved across the beach, across highway 90, and onto the town. The mass of water, with rolling breakers on top, was so mammoth that many buildings and houses were instantly smashed to pieces. A solid wall of water advanced past Scenic Drive, crashing down the hill toward Second Street, and crossed the railroad tracks, rolling further northward. Then a second rush of water bombarded and inundated most of the town. The bayous backed up to meet the Gulf tidal waters flooding many areas 5 to 15 feet deep. Automobiles were submerged, resulting in emergency vehicles being rendered useless. Glass windows crumbled. The water rose higher and higher. Some people were thrown into the stampeding water, not to be retrieved until the next day. Several floated aboard sections of roofing throughout the night. Bruised and badly battered, one person described her roof-top perch as the "wildest ride of my life". As the evening progressed, the hurtling winds picked up in excess of 200 mph. There were many valiant deeds performed that night by civil defense personnel, law enforcement officers, firemen, military personnel, and civilians in safeguarding others in distress. Screams for assistance were answered with daring rescues while other screams were hushed by the raging roar of the winds, not ever to be heard. Some pleas for help went unanswered because the would-be saviors could not locate the source of the screams. Areas not hit directly by the tidal waves were still deeply affected. As the hurricane hurled its full strength, those who had gone to bed were awakened by the strong gusts of wind. All of a sudden, water was rising from the floor. The water kept rising. Siding boards were ripped off their homes, as walls cracked open and windows and portions of roofing or floors above crumbled down. Then the house would cave in. Those attempting to escape by getting up on car tops would then be carried off by the raging waters. Some managed to stay afloat by catching hold of passing pieces of furniture or debris. Other residents were trapped and would not leave their safe havens for fear of losing their lives. Pass residents spent the most terrifying night of their lives not knowing how much longer they could hold on. Many of them had ample time to reflect on the wisdom of their decision to stay, rather than evacuate as directed. As the night drew to a close, the water started receding. People began assisting others in need. Well before daylight, more and more people began moving about, almost totally on foot, because vehicles had been under water and would not operate. The streets were blocked with debris and fallen trees. Then came the dawn. Daylight brought relief and concern. Relief was in the knowledge that the storm had passed, reducing the fears of the night, and that many friends and relatives had survived. Concern then turned to reviewing the full extent of damage and in counting the dead. This night of terror resulted in the inundation of fashionable beachfront homes, hotels, lounges, restaurants, gasoline stations, office buildings, and the City Hall. All along U.S. Highway 90 devastation was piled high with debris. The downtown beachfront showed nothing but wreckage and destruction. Boards, broken window sills, twisted metal siding, ripped signs, and dissected vessels littered the beaches and highway. Trees, houses, businesses, and boats were splintered into match sticks. The initial recovery started with the survivors trying to do for themselves. They attempted to clear pathways through the major streets. There was no electricity, no water, no ice, no telephones, no newspaper deliveries, and, thus, no way to communicate with friends and relatives. Major relief from outside Pass Christian did not come until weeks later. Those who were too old to work and those who would not pitch-in to work were sent off to Camp Shelby near Hattiesburg. Only the strong of body, mind, and spirit remained to share in the long dreary task confronting them. A spirited comraderie evolved amongst these townsfolk. American flags were raised in a demonstration of a shared sense of patriotism and success in having survived. During this ardent work phase, there were two weeks of Communal Utopia, shared by those citizens who worked in the big clean-up. They became comrades. Black, white, rich, poor; all dined together, consuming the same food prepared at "Pass" High School. They all bathed in the same wells together. They also learned to laugh together as they discovered steps to nowhere and bath tubs hanging in mid-air. However, once organized disaster support phased in, the harmonious assembly once more broke down into individuals caring for their separate properties and problems. The "unbelievable" brutality and devastation of Camille persuaded the Climatic Control Agency to remove her name from future Hurricane Listings -- much like they remove the jersey numbers of specially selected retiring sports celebrities. The area which suffered most was Pass Christian. Every structure in the "Pass" and its immediate area was damaged by the storm. Seventy-eight residents were killed, either during the storm or from injuries received during Camille. The killer storm took the lives of more people from the "Pass" than any other coastal community. The City of Pass Christian in its reclamation has numerous monuments to reflect on. However, with the passage of time these monuments have become obscured by new structures, new foliage and many new faces. A marble commemorative shrine was erected in Memorial Park acknowledging the 78 Camille victims. The etched stone was also dedicated to Inez Bourdin who promoted the idea for a permanent remembrance. She and Billy Bourdin diligently pursued the names of each victim for proper identity and name spelling. The VFW assumed the task to collect the funds and when the projected budget was not complete, County donations were supplemented through the aid of then, County Supervisor David LaRosa.